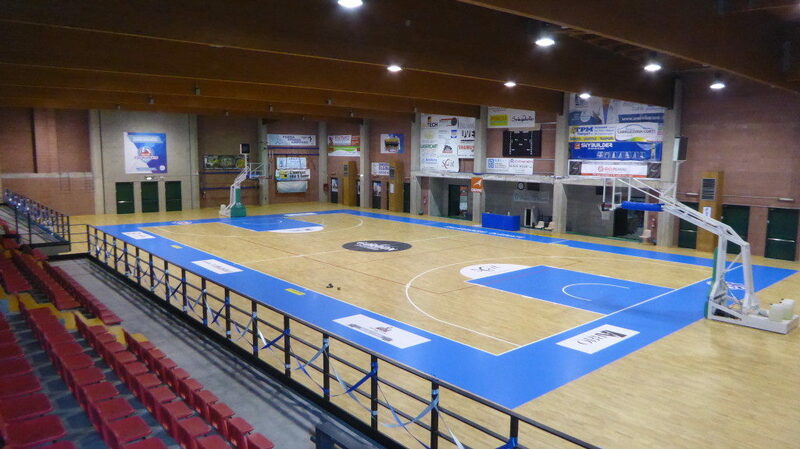 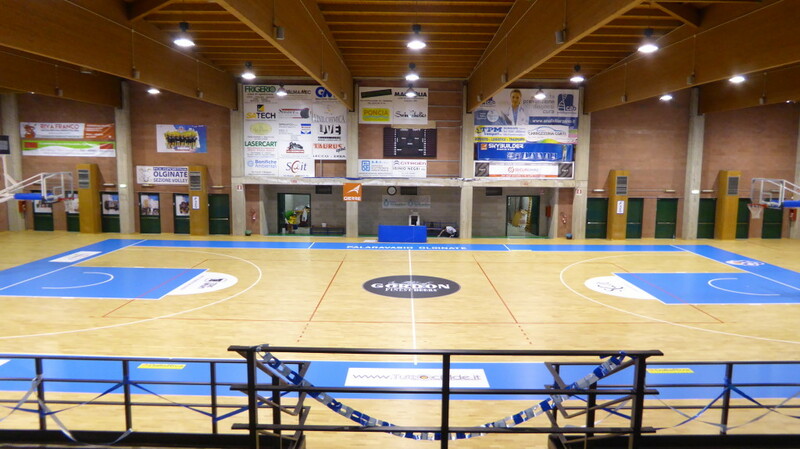 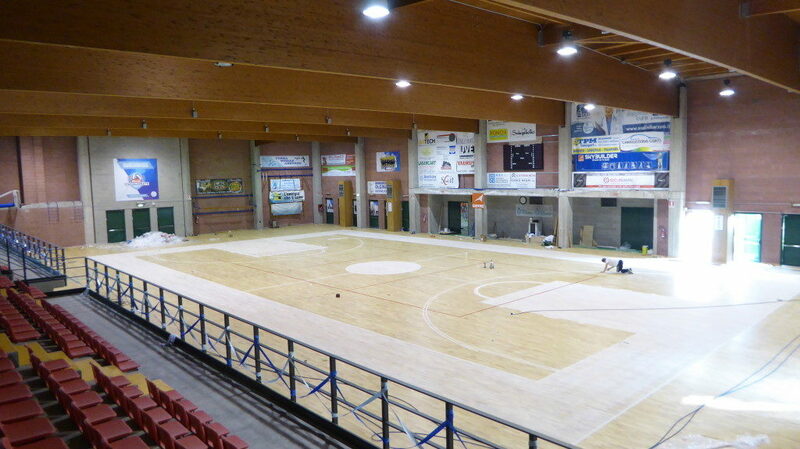 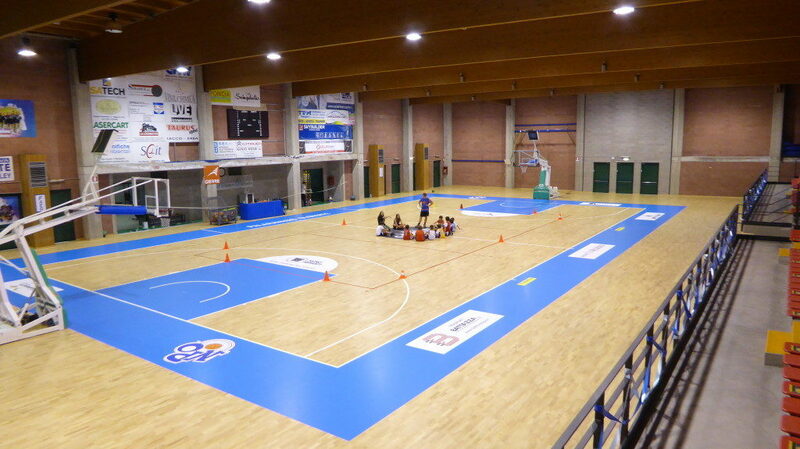 A new parquet in Lombardy. 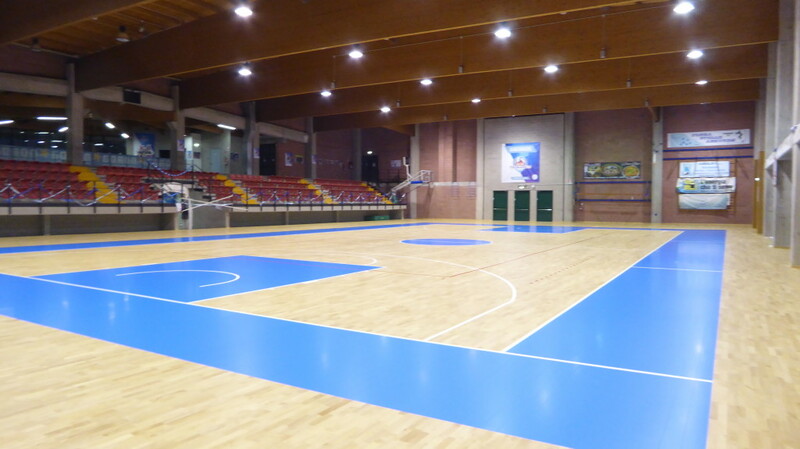 The new sports flooring installed by Dalla Riva Sportfloors at the indoor stadium “Igino Ravasio” Olginate is FIBA approved and possesses characteristics of absolute excellence. 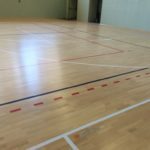 For about 1200 square meters it has been employed a parquet Hevea of 22 mm thick solid, with 12 mm substrate and elastic damping elements. 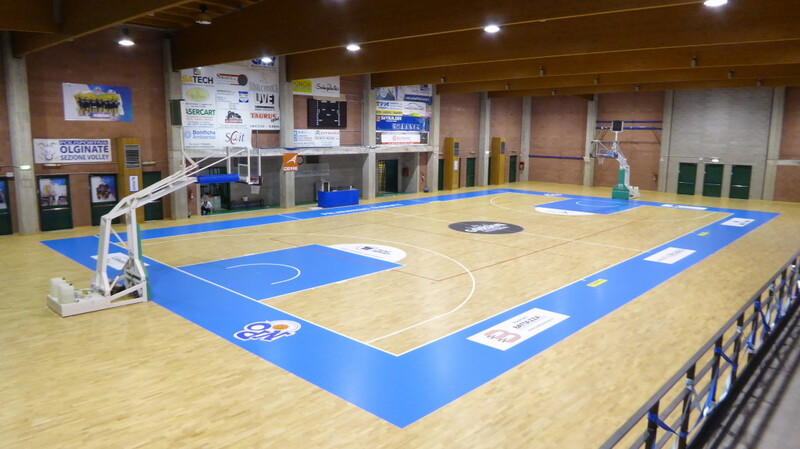 New Basketball Olginate, which mainly uses the sports facility, wanted to customize the playing rectangle with the blue color. 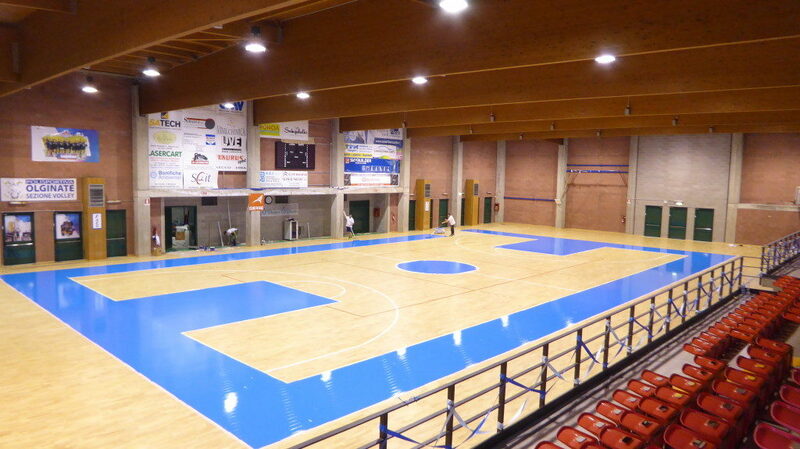 The technicians of Montebelluna have run the entire project in just 5 days.